One day after getting his second straight All-Star nod, Washington Wizards shooting guard Bradley Beal credited his teammates with his success. The sixth-year guard carries an especially heavy load this season, with five-time All-Star John Wall undergoing season-ending heel surgery in December and key contributors Dwight Howard and Markieff Morris missing extended stretches with various injuries. Beal, 25, leads the team in scoring, minutes played and 3-pointers made. League-wide, he is tied with New Orleans Pelicans center Anthony Davis for second in minutes per game at 37. Beal also ranks 13th in scoring at nearly 25 points per game and tied for 13th in 3-point field goals made at 2.6 per game with Boston Celtics point guard Kyrie Irving. Wizards head coach Scott Brooks said the most impressive improvement in Beal’s game is his defense. The Wizards host the Milwaukee Bucks and All-Star forwards Giannis Antetokounmpo and Khris Middleton on Saturday. The Bucks (37-13) come into town with the league’s best record. Washington defeated Milwaukee on Jan. 11, but the Bucks were without superstar Antetokounmpo, who is tied for seventh in the league in rebounding (12.6) and ninth in scoring (26.4). The Wizards (22-29) currently sit at the 10th spot in the Eastern Conference, 2 1/2 games from the eighth and final playoff spot behind the Charlotte Hornets (24-26). 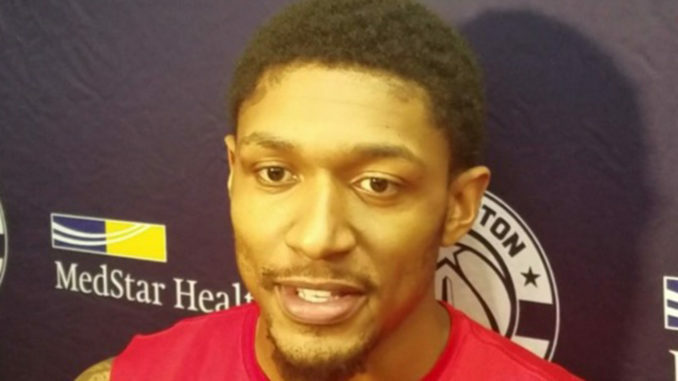 Wizards owner Ted Leonsis said this week the team has no plans to break up its core of Beal, Wall and Otto Porter Jr. ahead of the league’s trade deadline Thursday. He also scoffed at the notion of tanking the rest of the season to improve Washington’s chances in this summer’s draft. “We have to stay the course for this season,” Leonsis said. Beal echoed those words Friday. The NBA will have captains choose teams from the pool of All-Stars for the second straight year. This season’s captains are Antetokounmpo and Los Angeles Lakers forward LeBron James. The draft will be televised, but Beal doesn’t plan to watch. The only people who care about the draft order and subsequent slights — real or perceived — are fans and the media, Beal said. Next articleWAS THE GODFATHER OF SOUL MURDERED?